I love adding a pop of colour to brighten up an outfit, especially if it includes pastels...can't get enough of the baby blue vibes with this skirt and faux fur scarf combo. Since Christmas I have been obsessed with a-line skirts as there are so many fab options around, I couldn't resist this shiny pvc version from Primark which was a bargain!! I've actually tried a pvc pencil skirt in the past but I just found it waaay to restricting as the fabric has absolutely no give so this version was much better for me. I styled this together with a simple thin knit roll neck also from Primark, I literally wear this all the time as it's perfect for simplifying an outfit when adding colour/prints to other pieces. 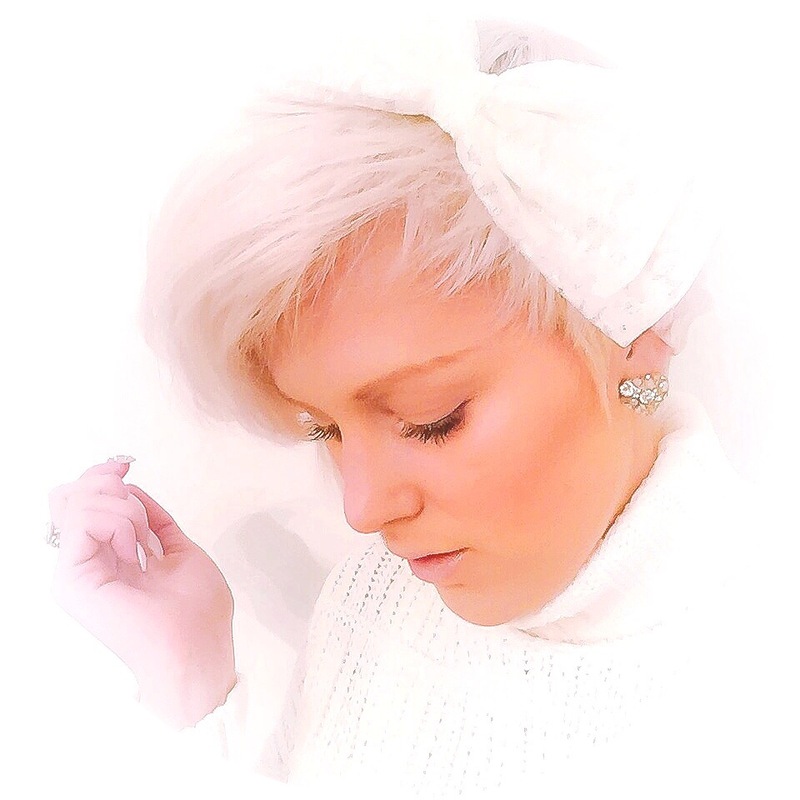 Teamed with this faux fur scarf from ASOS which brings together the pastels shades perfectly! It's also great for winter days when you're in need of a little more warmth...I think this happens to me most days! To make this fluffy beaut even better it's now only £14.50 in the sale! These New Look over the knee boots are my favourites, they are soooo comfy and just seem to go with everything I want to wear at the moment, great with skirts too so your legs don't freeze! !